According to the report, Alibaba Group Holding Ltd. (NYSE: BABA) officials shared a timetable for the initial public offering process with current investors by email. For larger initial public offerings, the IPO process typically takes around two weeks. 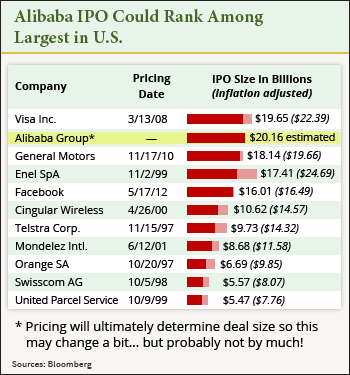 That would place the Alibaba IPO date within the second week of August. However, company officials have not scheduled a definitive date, and said the timing for the deal still hinges on "market conditions." 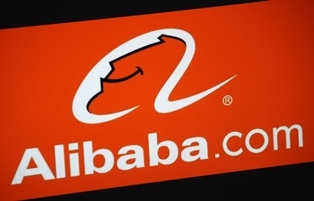 Previously, rumors suggested the Alibaba IPO could take place the first week of August. Today's news points to mid-August. For investors, the highlight of the IPO process later this month will be the Alibaba "roadshow." During roadshows, company officials travel around the world and make presentations to various analysts, hedge funds, and any other potential investors. Also referred to as a "dog and pony show," the presentations are meant to ramp up excitement among investors prior to the IPO. Jack Ma, the public face and chairman of Alibaba, should figure prominently into Alibaba's roadshow events.